If you have procrastinated purchasing an Air Lift adjustable air spring kit for your vehicle because you think the installation requires cutting, welding, and fabrication, think again. Air lift air spring kits are designed to work with your existing suspension and include all of the necessary components to easily install on your vehicle. Many Air Lift kits do not require drilling into the vehicle frame as we make use of existing holes or brackets. No fabrication is required by the installer as the kits include everything from custom powder coated brackets to heat shields and zip ties. Below is an inside look at how Air Lift air suspension kits are designed from beginning to end. Each of our air spring kits begin with extensive research about the vehicle the kit will be installed on. Our engineers have their fingers on the pulse of the OE manufacturers, anticipating the release of new models each year. 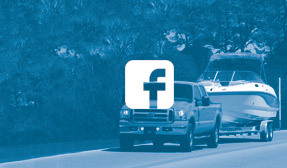 We attend as many OE-related events as possible so we can be prepared for what is next in the auto world. When we identify a new opportunity, the first thing we do is bring a vehicle into our shop to begin evaluating the factory suspension components and to determine the best way our kit could integrate with it. Once we have the vehicle, engineers fabricate mounting brackets and hardware ensuring the application will fit and last a lifetime. This process is repeated on each and every vehicle. 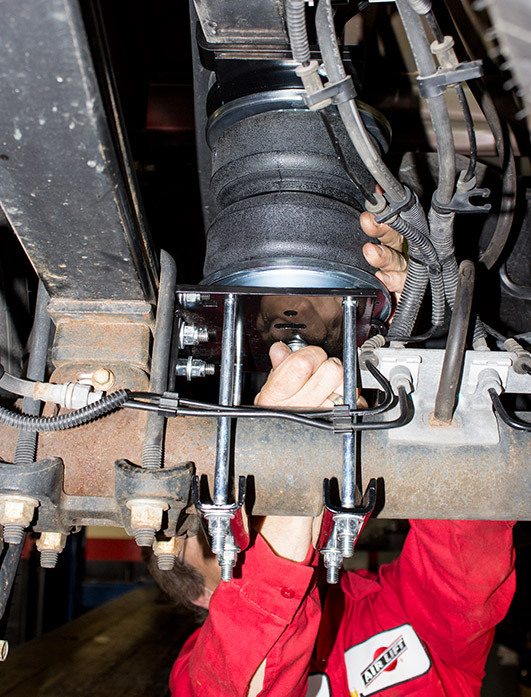 Once the application prototype is complete, a production example of the adjustable air spring kit is installed on the vehicle and a rigorous testing process begins. Air Lift air springs undergo 1-million cycles on our test rig, simulating 100,000 miles of strenuous driving. Exhaustive burst testing ensues and the live data is used to make any necessary improvements. Variations in air bag and mounting bracket design are implemented when and wherever the need becomes apparent. Every component of Air Lift air spring kits are tested and then accepted, strengthened, or redesigned. Before mass production begins, every piece of the kit must meet our strict specifications. 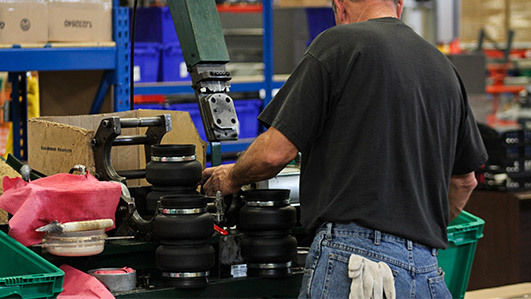 Once the Air Lift air suspension kit reaches production readiness, great measures are taken to ensure that we deliver the absolute best product in the industry. Factory operation and product quality inspections are constantly underway. We operate an ISO 9001:2008 certified facility in Lansing, Michigan with a dedication to quality: to develop, manufacture and continuously improve the highest quality products that fit, work, and last. 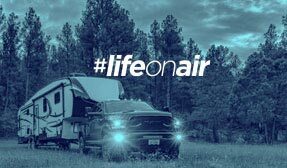 You can be sure that when you purchase an air spring kit from Air Lift that the kit will fit and you’ll have everything you need for the install. We’re so confident of this that we offer a lifetime warranty on everything in our air spring kits. We also guarantee you’ll be satisfied with the ride quality or we’ll buy it back within 60 days – no questions asked.